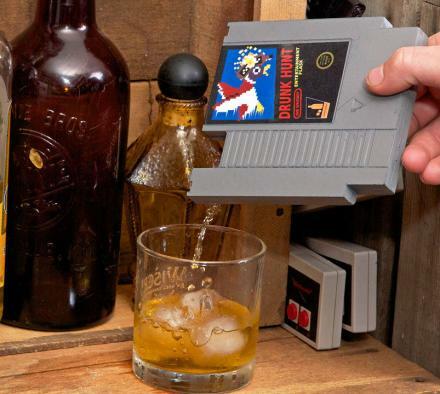 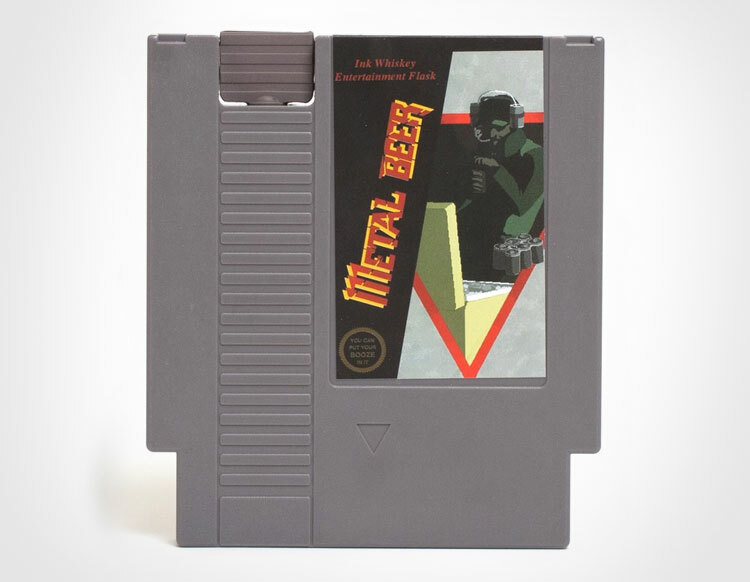 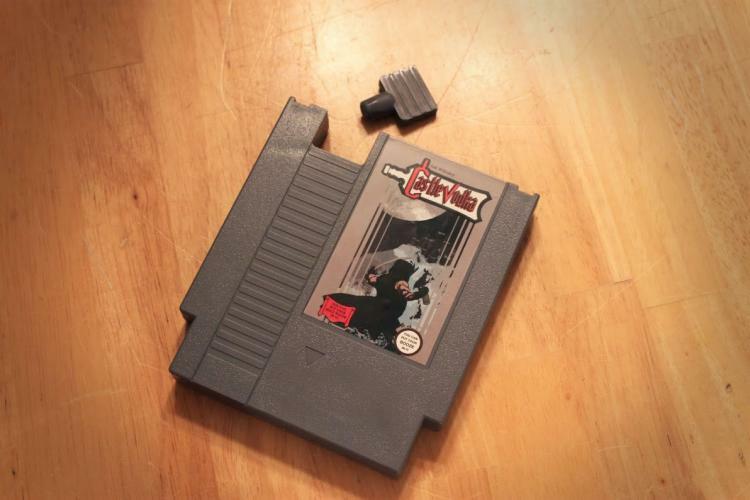 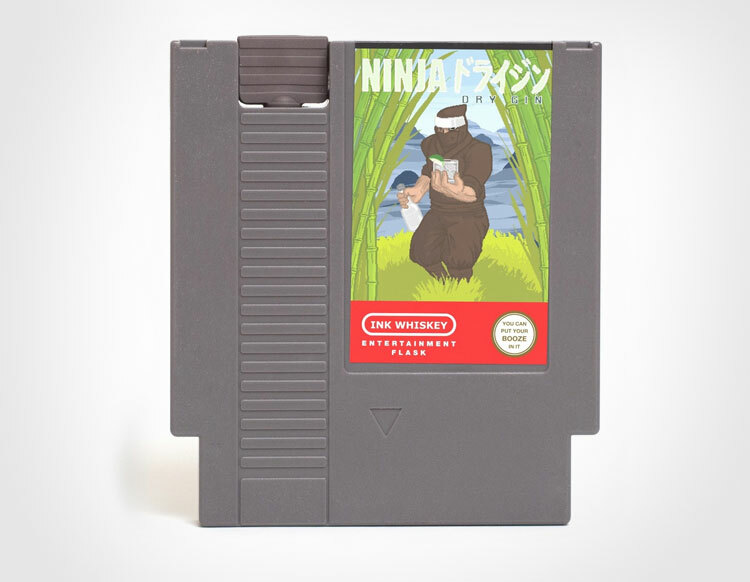 Perfect for the boozing gamer, the NES cartridge flask is a flask that is made to look just like an old school Nintendo game cartridge. 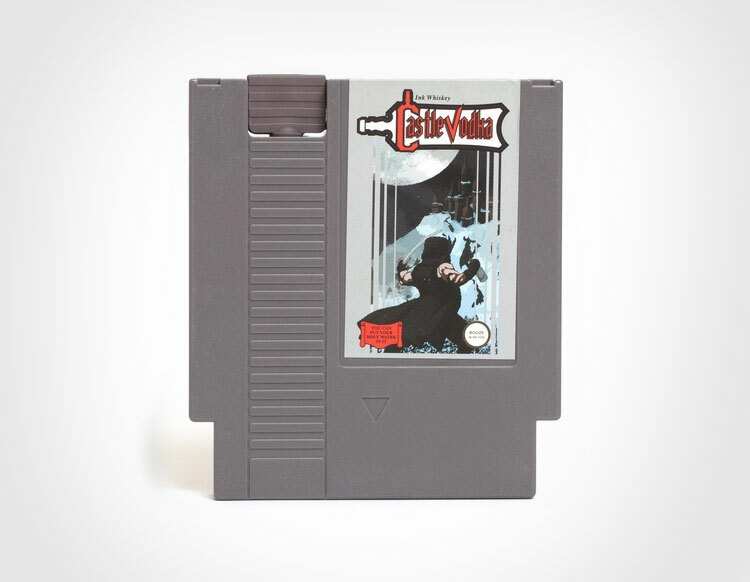 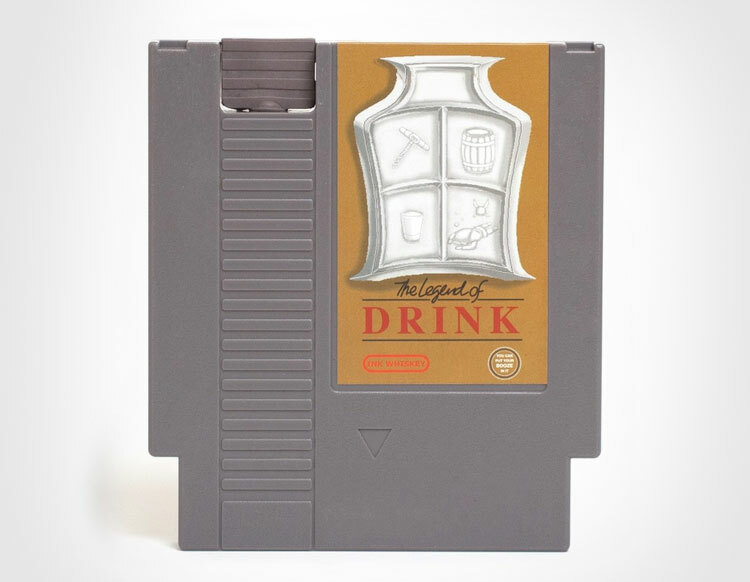 The game cartridge flasks went through a successful Kickstarter campaign back in November of 2013, and are now fully selling them on their website. 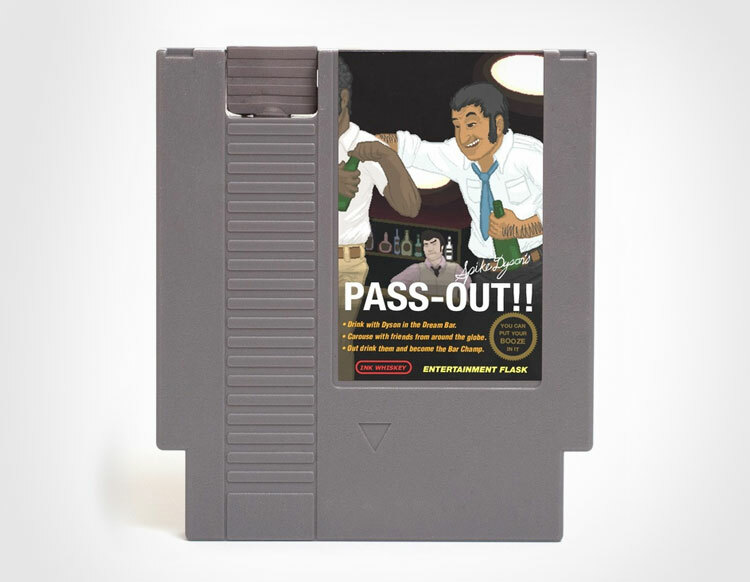 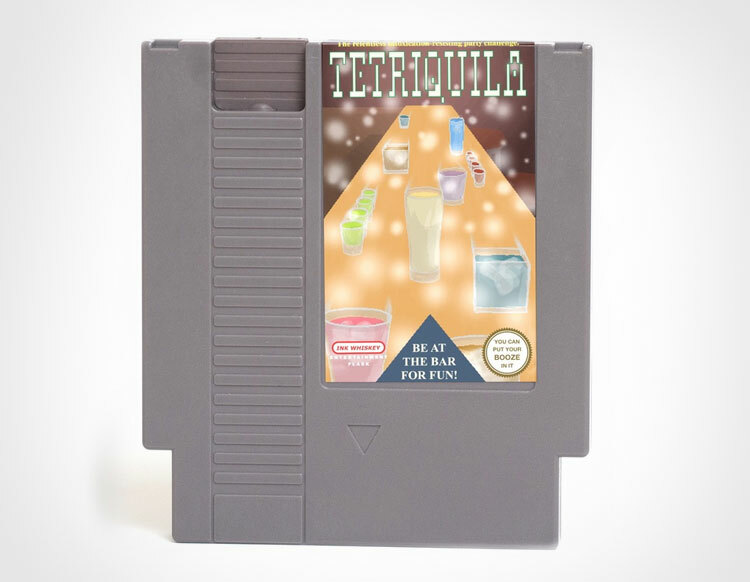 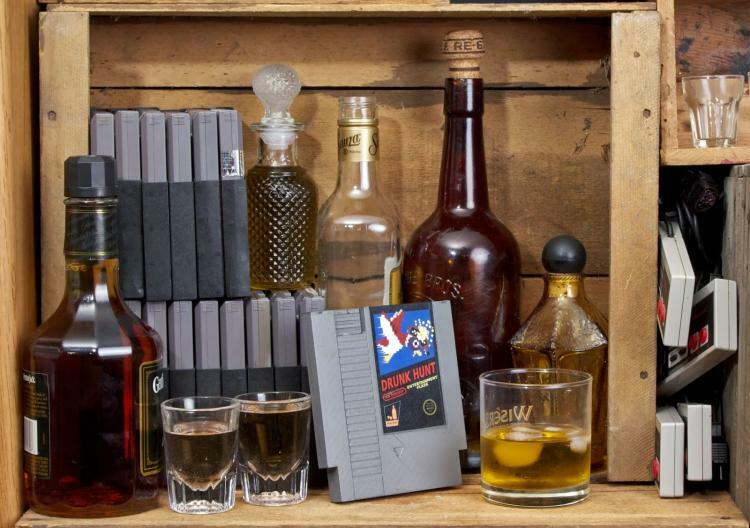 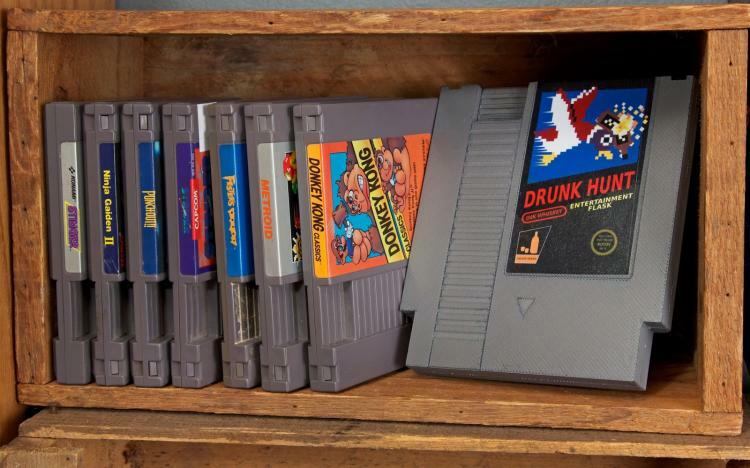 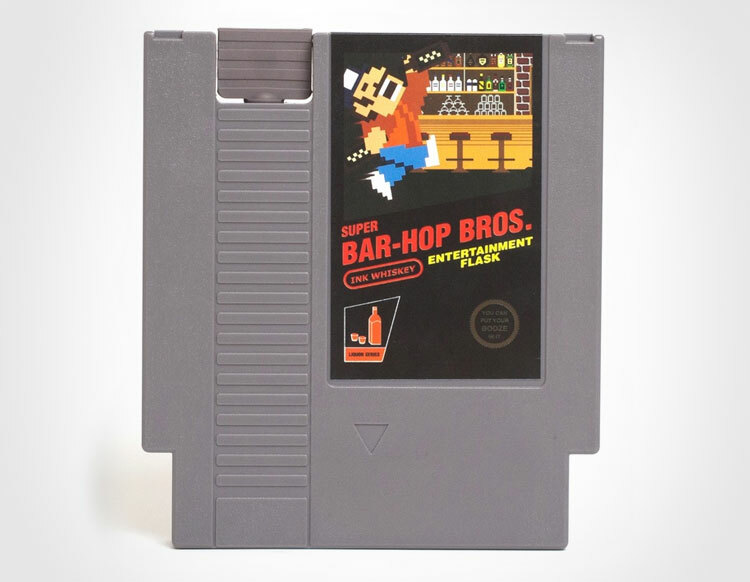 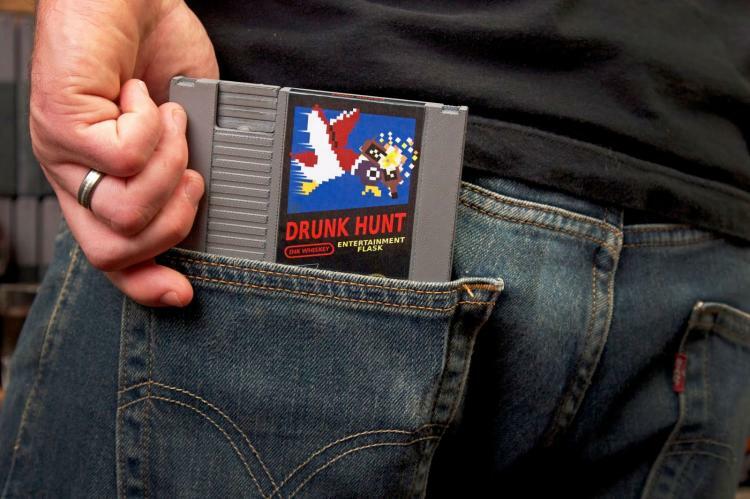 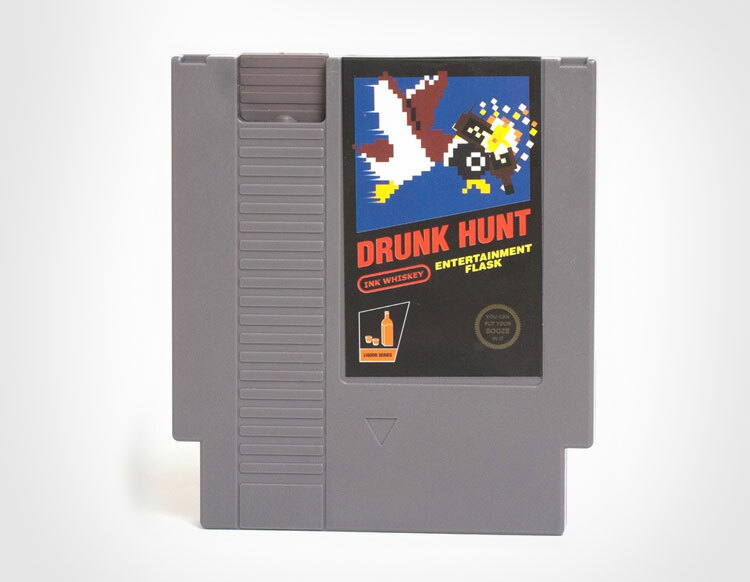 The Nintendo cartridge flasks comes in an assortment of labels that take a drinking themed parody of classic Nintendo games, including: Drunk Hunt, Super Bar-Hop Bros, Castle Vodka, Legend of Drink, Spike Dyson's Pass Out, Kegaman, Tetriquilla, and more. 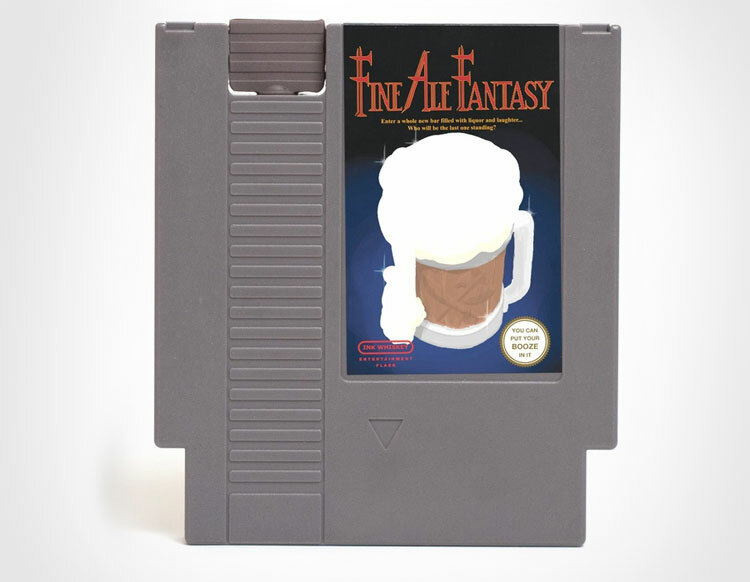 You can purchase the game flasks individually, or purchase a collectors pack which includes 5 cartridge flasks at a discounted price. 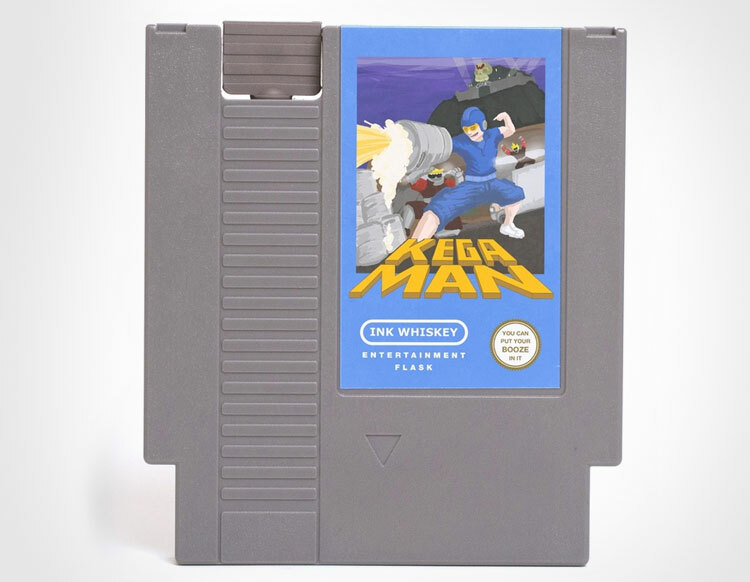 The NES cartridge flasks are made using a plastic mold, has a water tight cap that looks to blend in with the cartridge, and are the same size as an actual NES game cartridge.